It's a Halloween bachelorette party! 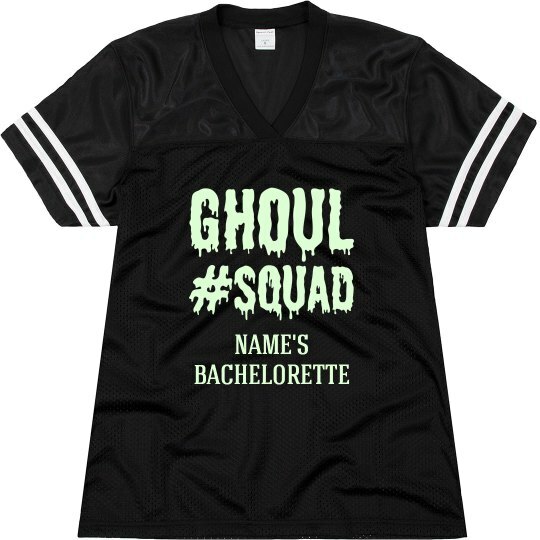 Get the ghoul squad together and customize this funny and spooky glow in the dark football jersey! 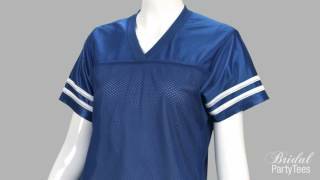 Put the brides name on this jersey and make sure the entire bridal squad has matching jerseys to wear.